The work is a problem of competitiveness of Kazakhstan among the countries of the world in the development of the tourism industry. The work shows that in recent years the country has risen to a higher position in the world rankings. The authors demonstrate that for the advanced improvement of the position of Kazakhstan among other countries in the development of tourism, it is necessary to take into account certain criteria for evaluation. It is also necessary to pay attention to how other countries are developing and what they are doing in order to occupy a leading position in the rating. The work determines which areas of the economy need to be developed to attract tourists. The work says that the President of Kazakhstan of his new program for the development of the country has already begun to implement a strategy for accelerated industrial and innovative development of the tourism industry. The emphasis is on the revival of the Silk Road for the growth of trade between Europe and Asia. The novelty of the research is that the article mentions the results of the world scale latest statistics, on the basis of which the analysis of the state development of the tourism industry in Kazakhstan was carried out. The authors came to the conclusion that improving the indicators should follow a certain plan, not forgetting to pay attention to the experience of other countries. Bolgova, V.V., Makushkin, S.A., Povorina, E.V., Duplij, E.V., Demchenko, T.S. 2016. The innovative control management of travel companies. International Review of Management and Marketing 6(S6): 79-84. Cost of Living Index for Country 2018 Mid-Year. 2018. https://www.numbeo.com/cost-of-living/rankings_by_country.jsp. Frolova E.V., Ryabova T.M., Rogach O.V., Kabanova E.E., and Vetrova E.A. 2017. Domestic tourism in Russian Federation: Population estimations, resources and development constraints. Journal of Environmental Management and Tourism 8(2): 436-445. Frolova, E.V., Rogach, O.V., Kabanova, E.E., and Ryabova, T.M. 2016. Domestic tourist market in the population estimates: a sociological analysis. Journal of Environmental Management and Tourism 7(4): 698-705. Here Are the Most Expensive Countries to Live in 2018. 2018. https://www.gobankingrates.com/saving-money/savings-advice/worlds-most-expensive-countries-to-live-in/. Institute for Economics and Peace. Global Peace Index 2017. http://visionofhumanity.org/. Kabanova, E.E., Frolova, E.V., Medvedeva, N.V., Vinichenko, M.V., and Shimanskaya, I.Y. 2016. Cultural and educational tourism in the Russian Federation: Basic problems and development resources. International Review of Management and Marketing 6(S5): 206-210. Koroteeva, N.N., Hasanov, E.L., Mushrub, V.A., Klochko, E.N., Bakharev, V.V., and Shichiyakh, R.A. 2016. The conditions of economic efficiency and competitiveness of tourism enterprises. International Journal of Economics and Financial Issues 6(8Special Issue): 71-77. Nikitinsky, E. 2011. Tourism: The World Rating of Competitiveness. Republican Scientific-Cognitive Magazine “World of Travels” 6(17): 12. Nikitinsky, E. 2016. Kazakhstan in the World Rating of the Tourism and Travel Sector. Republican Scientific-Cognitive Journal “World of Travels” 2(37): 52. Scientists of Kazakhstan and China are Jointly Exploring the Conjugation of the Strategies of the Two Countries. https://www.inform.kz/eng/uchenye-kazahstana-i-kitaya-sovmestno-issleduyut-sopryazhenie-strategiy-dvuh-stran_a3253888. The Global Competitiveness Index Center for Humanitarian Technologies Information-analytical portal. http://gtmarket.ru/ratings/global-competitiveness-index/info. The Travel & Tourism Competitiveness Report 2017/2018 (Competitiveness of tourism and travel). Report of the World Economic Forum. http://reports.weforum.org/global-competitiveness-index-2017-2018/competitiveness-rankings/. These Are the 50 Cheapest Countries in the World, Study Finds. 2018. https://www.gobankingrates.com/saving-money/home/cheapest-countries-in-the-world-to-live/. World Bank. 2017. Doing Business 2017: Equal Opportunity for All. Washington, DC: World Bank. World Economic Forum: Ranking the World Countries in Terms of Competitiveness of Travel and Tourism in 2015. http://gtmarket.ru/news/2015/05/07/7152. World Economic Forum: The World's Rating on the Level of Competitiveness of Travel and Tourism in 2015. 2015. http://gtmarket.ru/news/2015/05/07/7152. KULAKHMETOVA, Gulbaram A. et al. The Way to the Leading Positions in World Tourism: Case Study of Kazakhstan. 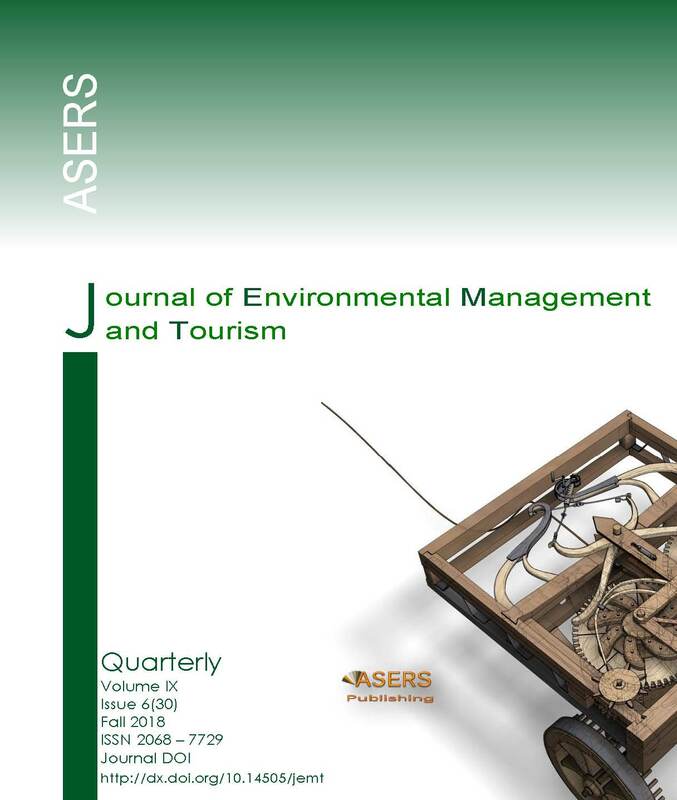 Journal of Environmental Management and Tourism, [S.l. ], v. 9, n. 6, p. 1289-1295, feb. 2019. ISSN 2068-7729. Available at: <https://journals.aserspublishing.eu/jemt/article/view/2674>. Date accessed: 22 apr. 2019. doi: https://doi.org/10.14505//jemt.9.6(30).18.